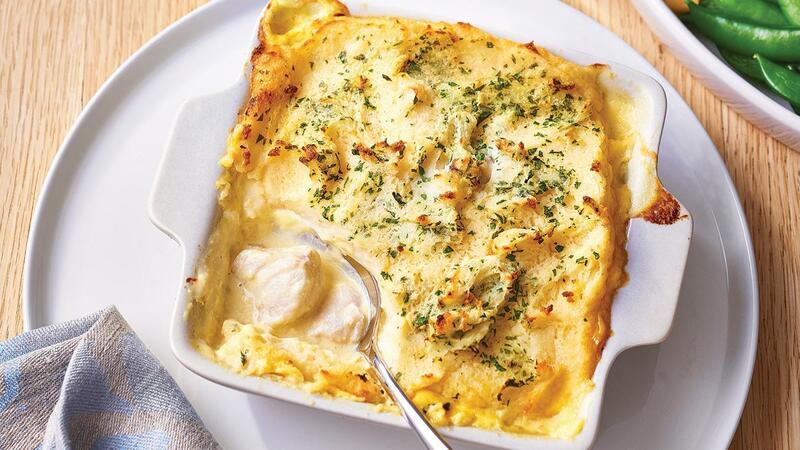 Fish pie is an old favourite, nice and easy to eat and simple to create. Sweat the onions in a pot with 60 g butter, add the KNORR Hollandaise Sauce. Place the fish in a deep oven tray and cover with the sauce and onions. Boil the water, whisk in the CONTINENTAL Mashed Potato Mix, add the remaining butter and place on top of the fish. Bake pie in the oven at 180 degrees Celsius for 25-30 minutes or until fish is cooked. Serve with sugar snap peas, steamed corn.